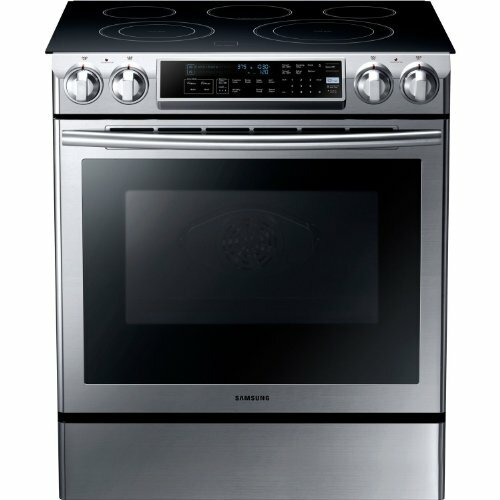 More than five years after it was released, the Samsung NE58F95000SS slide-in electric range still maintains its reputation as a beautiful and powerful range. Featuring true convention heating oven technology and innovative guiding lights controls, this 5.8 cu. ft. oven still ranks high on people's lists when hunting for a powerful and affordable top brand range. In today’s article, we will discuss the features of this range and help you explore your options in its price range. The NE58F9500SS is a 5.8 cu. 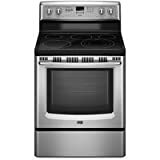 ft. 30-inch slide-in electric range from Samsung. The oven has five burners, two of which are expandable. It has a distinctive guiding light control that makes adjusting settings easy. This oven uses true convection technology for fast cooking. The NE58F9500SS is built on the slide-in concept. This oven has a conspicuous guiding light control fixed at an angle of 75 degrees. 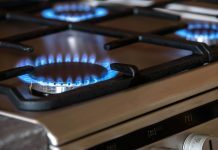 The oven has five burners which range in power from the warming 100-watt burner to the high powered 3,000-watt front left and right burners. The right and left rear burners have a rating of 1,200 watts. The front left burners can adjust in diameter between 6 to 9 inches while the front light burner can adjust between 9 and 12 inches. This cooker has a rear burner in the middle and it is ideal for warming soups and sauces. This oven has true convection technology which is deployed during both baking (175°F - 550°F) and roasting (175°F - 550°F). The oven has a Sabbath mode which enables continued warming once activated. The oven also has a hot surface indicator light, digital temperature display, and a timer. We like the fact that its knobs are located at the front, and they are easy to reach even during cooking, but the range also has touch pads for temperature settings. This range’s oven has a large window that allows visual monitoring during baking/cooking. It also has a 0.7 cu. ft. storage drawer that can accommodate pots and pans and can also extend the oven size. The NE58F9500SS has a steam clean function for a 20-minute light cleaning. Although the oven has just a handful of racks, you can fit the racks in seven different positions. This gives users a lot of control depending on the size of the food they are baking/roasting. The Samsung NE58F9500SS retails in the high price range. The range can be bought on Amazon, and Best Buy, among other online stores. Samsung spared no effort in making this oven easy to use. We like this range’s ability to focus guiding lights on only the relevant controls when adjusting settings. This system helps to guide the user through cooking. The big storage drawer of the NE58F9500SS makes it easy to monitor the food under storage. There is no doubt that the Samsung NE58F95000SS is a high-performance range. Its oven has a wide temperature operating range, and you can set it up to 831°F. Its dual fast burners can boil a gallon of water in a matter of minutes. The boiler of this range also performs well, and it takes about seven minutes to reach 350 °F. The range cooks, bakes, and boils quite well. The only complaint we have seen about it is that the oven overshoots the set temperature by a couple of degrees, and it takes time for the temperatures to stabilize. This is has a sturdy, seamless slide-in range. We love the oven’s guiding light control panel. The panel only illuminates light on the selectable options, in effect, eliminating the “background noise.” The range has a mixture of knobs and its tactile controls. The oven also boasts of a storage drawer that can contain small pans and pots. It has five burners ranging in size from 6 inches to 12 inches. Its rear burner, located centrally, is used to warm sauces and soups. Its cooktop is flat and easy to clean. We believe the NE58F9500SS is the best oven in terms of design on our list. This oven has a one-year warranty for labor and parts. The glass cooktop has a warranty of five years. The Whirlpool WEE745HOFS is a 6.4 cu. ft. slide-in electric range with a sleek stainless steel exterior. This range might be the right choice for those who have big families or who entertain a large number of people. This oven has three racks and, like the NE58F9500SS, it has seven rack positions which you can adjust depending on your needs. The WEE745H0FS has a big window that lets you the see the inside clearly. This comes in very handy to check on whatever you have baking in the oven. This range has five burners, two of which are 6 inches, in addition to a warming area. You can expand the cooking surface of the two front burners to fit the pans or pots you are using. You can expand one from six to nine inches while the other can go up to 12 inches. This oven has the convection heating feature which cooks fast by estimating the cooking time and temperature. This range has frozen-bake presets for foods like chicken nuggets, pizza, and lasagna, and you don’t need to preheat with this oven. Like the NE58F9500SS, two of this oven’s burners are high powered. The controls for this oven are located at the front. This oven can also boil. Devout Jews and others who need autopilot warming can benefit from the Sabbath mode, a feature which enables the oven to keep food hot for hours without switching off. We also love this range’s storage drawer which can accommodate several pans and pots. Most functions on this oven are easy to use. This oven has a flexible racking system which includes a split-level rack. The oven has pads that make setting temperatures easy. We love the location of the controls on the front of the oven. This means that users don’t have to reach over hot pans to adjust the controls. The oven is made with a ceramic glass cooktop that is easy to clean. This oven does not disappoint when it comes to cooking. It burners cook quite fast. The range’s oven uses true convention which cooks quite fast. 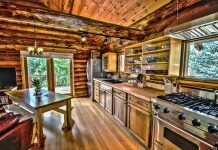 The range has a complete suite of features including cooking, baking, and boiling. This oven looks sleek. Its ceramic top surface looks fabulous, and the controls are well positioned for fast and safe cooking. This oven has a standard one-year limited warranty. 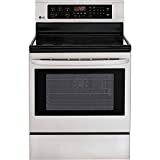 The LG LRE3083ST is square in shape with a 6.3-cu-foot-capacity oven. This oven has a ceramic top surface, and It has a shiny metallic finish. Like the other ranges on our list, the LG LRE3083ST has four burners plus a warming element at the center. The oven has two racks that span across its length. The LRE3083ST has a convection fan which enables it to cook fast even at low temperatures. The oven does not have knobs, but LG gave this range buttons. The range has standard controls like on most ovens. The buttons are not located at the front of the oven but on the backsplash. This oven has a Lo and Hi boiling function, and it also has a pyrolytic system that is handy when cleaning the oven. Cooking or baking with this range is quite easy. However, it lacks knobs (it instead has buttons). This makes it harder to operate than ovens with knobs. Also, its buttons are located on the backsplash, so you’ll have to reach out behind pans to operate it. This is one of the highest performing ranges we have seen. It’s baking and normal cooking abilities are suitable even for small restaurants. This oven uses a fan and convection technology to cook fast. It’s low-temperature cooking abilities are exceptional. Very high-temperature cooking is not as good but it is okay for most people. Six cups of water take this oven about seven minutes to boil using its most high-powered burner. The only area that prevents this oven from notching a 5-Star is its poor performance when boiling. 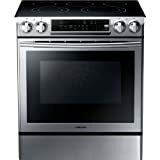 This oven’s baking abilities are good and, with the convection fan on, the oven performs very well and is efficient. Its preheating abilities are also above average, and it takes this range about 11 minutes to preheat to 350 °F. The oven has a modern body. Its aesthetics are quite good. We didn’t like the fact that buttons replace knobs on this oven, and the buttons are located on the backsplash, meaning you have reach across boiling pans and ports to change controls. This oven has a 12-month warranty for labor and parts. The Maytag MER8772WS is a 5.6 cu. Ft standing electric range with 3,000-watt three-ring heating elements. 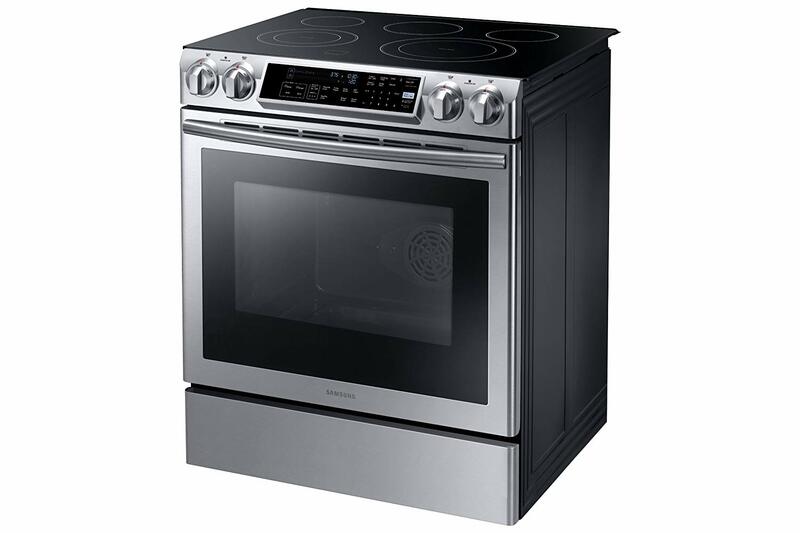 This 30-inch wide oven has a ceramic cooktop and classy metallic finish. Like the Samsung NE58F9500SS, this oven uses convection heating. The oven’s door is located at the front of the oven, and it opens downward. The oven has two oven racks. You can save favorite settings and quickly use them to cook when you need to use them. The oven has a 10-inch left front element and a right element that can expand from 6 inches to nine to 12 inches. Both the rear elements are six inches. The MER8772WS also has a 100W center warming element. This oven has a self-cleaning system. This oven also has a drawer at the button which can accommodate small pots and pans. Controls are located on the backsplash, and they are in form of knobs and buttons. This oven has a huge window through which you can monitor the food when using the oven. We like the fact that the oven has some knobs. However, the location of this control panel at the back is not the most convenient as you have to reach across cooking pans to control. The heating elements heat up fast, and they cook relatively fast. Nothing impressive, but not bad either. The oven’s heating rate is not as fast. The oven takes longer to heat up, but when it does, its performance is acceptable. 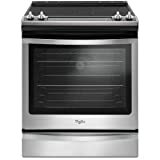 ​This oven is well built, and it is has a beautiful metallic finish. ​This oven has a one-year warranty. 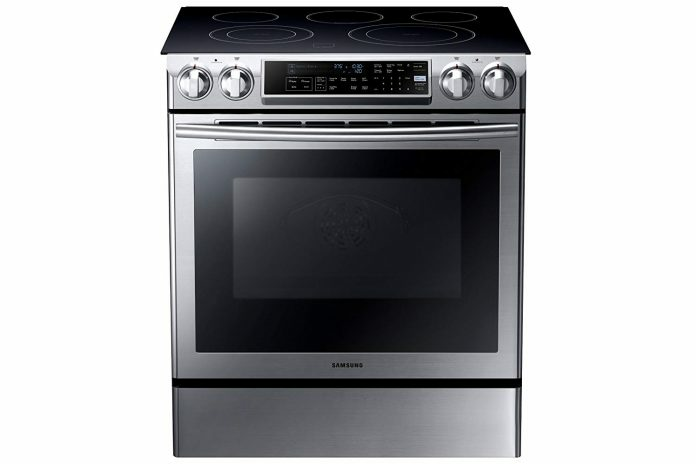 The Samsung NE58F9500SS is an excellent electric range. 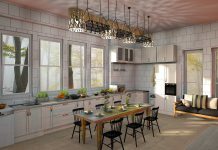 Once installed, this range is very aesthetically pleasing and blends into the kitchen so seamlessly that some inexperienced eyes may think it is a built-in unit. The range comes with solid cooking and baking abilities. We love its user-friendly guiding light controls which prevent the user from being overwhelmed by the control panel options. Its dual convection technology makes baking a breeze. Buyers need to know that installing this range needs some specialty knowledge, and the typical user needs to hire a professional to install it. The NE58F9500SS is one of the best ovens in its price range. We give this range 4.5 out of 5 stars, and we believe it is the best range overall on our list. Buyers who are interested in a bigger range may opt for the 6.4 cu. ft. Whirlpool WEE745H0FS. However, be prepared to pay up to $650 more compared to the NE58F9500SS, and say goodbye to the guiding lighting control system. The Samsung NE58F9500SS slide-in electric range is a great unit that showcases a lot of excellent features. Some of this features include the intuitive guiding light control system, fast cooking burners and child safety lock. But you have to remember that this unit needs professional installation.